Copyright 2006 Jeff Griswold, Effective Learning Systems, Inc.
To a large extent, your happiness and your success in life is determined by the thoughts you hold in your subconscious mind. Positive affirmations are powerful statements that are used to build a positive internal dialog. By consistently repeating positive affirmations to yourself, you create positive subconscious thoughts. These new, positive, productive thoughts will replay automatically throughout your life. Each time they replay, they'll reinforce the new positive inner-image you have of yourself and your life in general. By replacing old, negative thinking with new, positive subconscious thoughts you’ll be able to access the endless resources of positive energy you have within yourself. And you’ll be able to create a new, positive reality for yourself. When you use positive affirmations, let yourself really feel them. Fully experience each one. Enjoy them. Assume each affirmation to be true in your physical reality. Feel the positive emotions that are appropriate for this positive reality. This will help you make positive changes more quickly and automatically. At the end of this report you’ll find dozens of carefully chosen, time-tested, positive affirmations that will help get you started. Select those that you think will be most helpful. Write them down, carry them with you, and use them often. Get into the habit of saying them while you’re doing routine things such as brushing your teeth or washing your hands. 1. Use the affirmations frequently. It's one thing to know about affirmations and use them occasionally. It's quite another thing to use them regularly everyday for at least 30 days. Dr. Maxwell Maltz in his book "Psycho Cybernetics" asserted that it usually takes 21 days to make any perceptible change in one's mental image. For some people it takes a bit longer. That is why you should use them frequently for at least 30 days. 2. You must continue to actively "eject" the negatives you experience daily. If you use affirmations occasionally, but allow negatives to dominate your thoughts throughout the day, any progress you make will be quickly negated. So, if you find yourself thinking a negative thought, consciously “eject” that thought and replace it with one of your favorite positive affirmations. Using positive affirmations correctly is one important step to changing your subconscious thoughts and changing your life for the better. But most of us need assistance in doing this properly and consistently. Many people find that listening to audio programs (like those available at http://www.efflearn.com) is the best way to provide the consistency that’s needed to develop new, healthy, positive thought habits. In addition to positive affirmations, the best audio programs will incorporate a variety of techniques including guided visualizations, mental imagery, goal-oriented meditation, subliminal programming, whole-brain learning, and more. So, employ whatever resources you need to start using positive affirmations consistently -- whether it’s an audio program or help from your friends or family. Be confident that you can take steps to improve your life. Here are dozens of powerful, time-tested affirmations to help you overcome negativity in many areas of life. Repeat these affirmations to yourself (out loud or silently). Or use an audio program (like those available at http://www.efflearn.com) to help you develop new, healthy, positive thought habits. I am free of unwanted stress. I choose to enjoy this moment. I project wealth and good fortune to each person I meet. Money flows to me easily and naturally, just as the waves flow into the shore. I deserve great sums of money and use it to help myself and others. I am putting more loving energy into my work and this is providing me with a larger and larger income. The more money I have the more money I have to give. It is attracted to me. My financial worth increases every day regardless of what I do. I am learning and growing every day which makes me more valuable to the world. Money is always circulating freely in my life and there is always a surplus. Every dollar I spend circulates, enriches the economy and comes back to me multiplied. I see money as a useful tool. The more money I have, the more money I can use to help myself and others. I choose to be slim and healthy. I eject any negative thoughts about my body. In my mind I am now slim, healthy and attractive. My physical reality is quick to follow. I shall attain and maintain my ideal weight. I don’t have to be perfect; I just choose to be perfectly me. I feel better each moment. I now control my feelings. Every day life gets better & better. I see something positive in all situations. Each day I tell myself I have a great memory. I have confidence in my memory. My memory improves every day. I replace negatives with positives. I easily remember anything of importance. My memory is well organized. I record information easily and naturally. My memory retrieval system is excellent. I am now good with names. I learn and recall names easily. I am now proud of my memory. My memory for names is great. 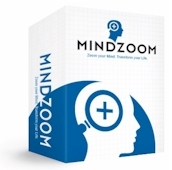 THE MENTAL FITNESS CENTER RECOMMENDS MINDZOOM! Remove bad habits, learn 5x faster, eliminate panic attacks and fears, improve your social skills, achieve your goals, help your body heal, discharge stress, and enjoy your life!